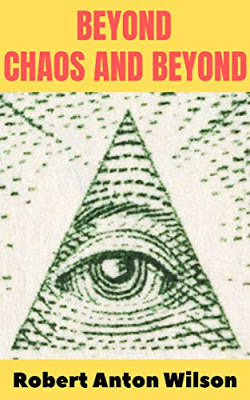 Aside from being carefully edited and provided with new covers, the new Hilaritas Press editions of Robert Anton Wilson's work also have bonus material, at least so far. The new edition of Cosmic Trigger has the new introduction by John Higgs, as Charles wrote in Monday's opening post for the Cosmic Trigger online reading group. I am writing to you from Tulsa, which I consider my hometown. I'm on vacation for a few days. I flew out here from United. I didn't try to pick the seats for my flights; I just let the airline pick them for me. On the flight from Cleveland to Chicago, United seated me in seat 23E. There was no row 23 in the Chicago to Tulsa leg — it was a small plane — so I was placed in row 13. 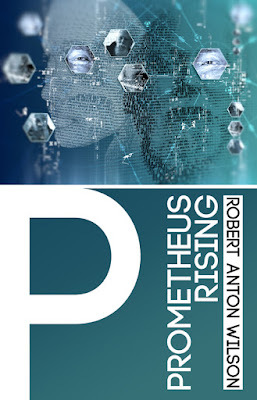 Anyway, on the Tulsa flight, I looked at the new ebook edition of Prometheus Rising, which I bought a few days ago, because I was curious about the book's "bonus" feature — an afterword by Richard Rasa. It's my guess that anyone interested in the Eight Circuit model of consciousness will be interested in the question Rasa raises in his essay, "Apprehending Bob Non-Simultaneously," which explores why RAW switched circuits 6 and 7 from one work to another. RAW followed Timothy Leary's original order (in Exo-Psychology) in Cosmic Trigger, but reversed them in Prometheus Rising, before returning to Leary's original order in Quantum Psychology, Rasa explains. 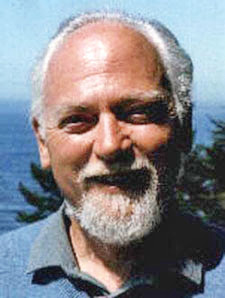 I don't want to give too much away — after all, I want you to buy the book — but I can report that various Doctors of the Church (i.e., members of the Robert Anton Wilson Trust Advisors) weigh in, including Michael Johnson, Eric Wagner, Mike Gathers, David J. Brown, and Toby Philpott. 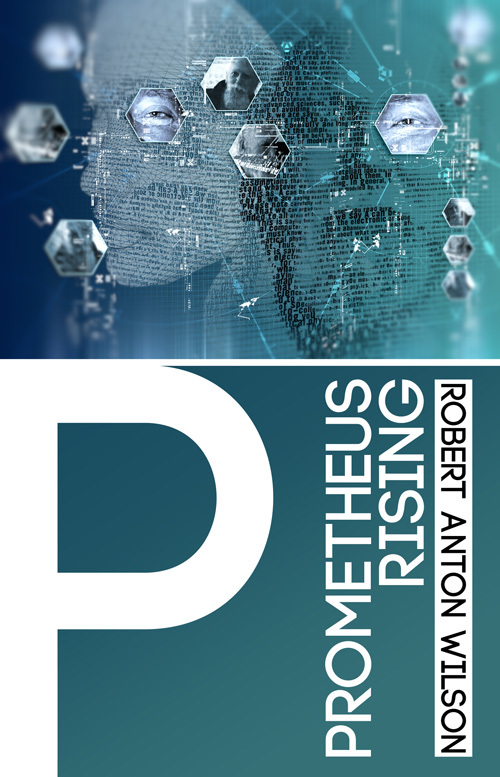 The new print edition of Prometheus Rising will be out soon; I will note it here when it's released. I like that expression, "Doctors of the Church". Great work on your blog. I really enjoyed Richard Rasa's afterword, and have read it a couple of times already. With this new release I'm slowly working through the exercises, but have not found a quarter in three weeks of trying. However, my thinker thinks I will come across one soon if I remember to look. I've spent a lot of time looking for quarters over the past 31 years. I really find the exercises in Prometheus Rising interesting. I still haven't attended a Sufi weekend seminar, though. Can't wait for the print addition. I too have "failed" to see many quarters since reading this, but I'm constantly seeing 23. Weekly at the very least. Speaking of Tulsa, how is it? I'd really like to see it. I have family in OKC and would like to check Tulsa out the next time I'm there. I understand it's a little "grittier" and "artsier" than OKC. Is it a stretch to compare it to Austin? Since doing my laundry depends on it I notice random quarters all the time. My theory is that New Falcon is so incompetent that they accidentally switched the circuits when they set up the page. No, I think Bob and Tim both switched circuits six and seven in their efforts to create a more accurate model. Um.... Hey tom... I'm on Keystone Lake... Maybe we should have a beer sometime. @jared That would be cool, but now I'm back in Ohio. Maybe next time! There's a bit by Bob, I can't remember where, in which he says that Tim said that he had intentionally introduced a couple of mistakes in the formulation of the 8/24 circuits. I even remember reading that bit where Time wrote that, unfortunately cannot remember where. At any rate, very interested in reading Rasa's afterword. It's stated in The Game of Life in the chapter "Evolutionary Maps Cannot Be Limited to Local Hive Concepts."